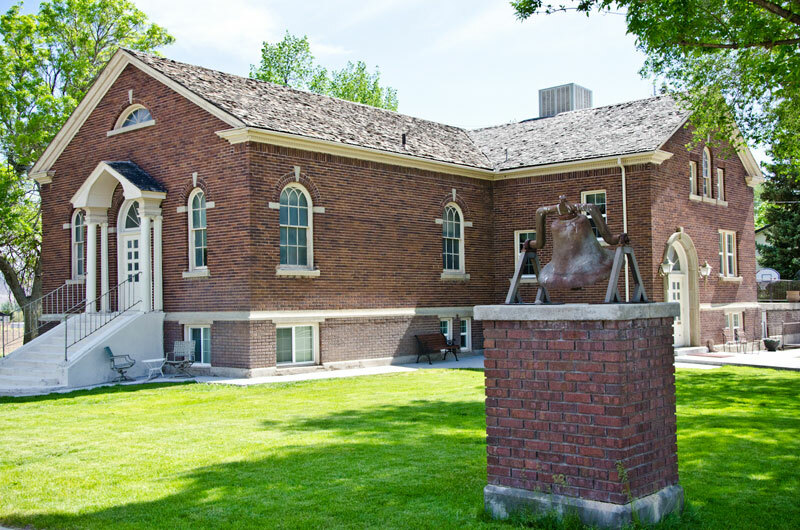 The stately historic Piute County Courthouse, built in 1903 is listed on the national registry of historic buildings and has been meticulously restored for your ultimate family reunion experience. Located in the very heart of Utah on scenic US Highway 89 makes it easily accessible year-round. Literally surrounded by Utah’s spectacular national parks, the Courthouse is fast becoming a family favorite for those wishing to share wonderful experiences under one very tall and magnificent roof. The spacious Courthouse boasts 8 bedrooms, 4 1/2 baths, a full-size kitchen and a large dining room as well as the huge original court room equipped with a giant fireplace, air hockey, foosball, TV, movies, and the beautiful, handmade original judge’s bench. Couches, chairs and sleeping mats make this room a big hit. 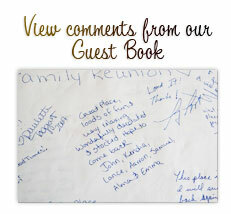 One of the five large walk-in vaults is actually a four bed bunk room kids always love. Perhaps the most interesting room is the library with its loft and 20 foot tall ceilings loaded with books, puzzles and a chess set, plus a beautiful view of Junction’s Main street below. The library can also be used as an additional bedroom with the sleeping sofa provided. 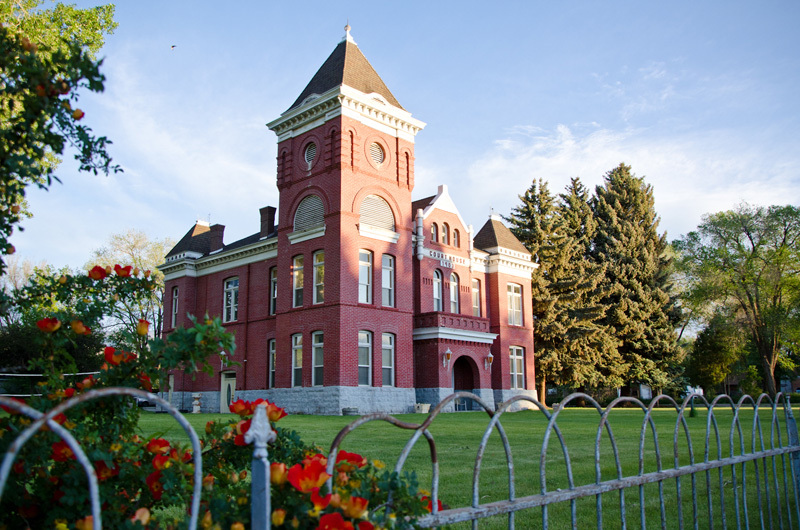 The Courthouse is surrounded by expansive lawns with huge trees perfect for outdoor activities and offering plenty of room to park RVs or pitch tents. An outdoor fire pit with wood is provided along with two barbecue grills, plenty of comfortable chairs and picnic tables. Our large toy shed will keep the kids entertained with volleyball, horseshoes, badminton and croquet. A full-size playground awaits just down the street at the town park. The Old Church in Joseph, Utah, originally constructed in 1929, has also been meticulously restored for your family vacation, reunion or group gathering. Centrally located in the heart of Utah, just 15 minutes South of Richfield and at the base of Fishlake National Forest, the Old Church is a popular site for all types of family recreation and fun. The Old Church now has seven bedrooms, four bathrooms, and a large open kitchen and dining room. The family/game room is very large and comfortable with many couches chairs. Enjoy a giant 16 foot theater screen with surround sound for the ultimate home movie experience. Kids will love playing ping-pong, pool and foosball. Perhaps someone in your group would like to play the old piano or sit and enjoy a good book or game of checkers. Outside, a large lawn and shade trees make for a great gathering spot. In the evening enjoy the fire pit and barbecue. Wood is provided. A full-size city park/playground is next door. The kids will love it.